The problem of realization of Boolean functions by generalized α-formulas is considered. The notion of a universal set of generalized α-formulas is introduced for a given set of Boolean functions. Universal sets of generalized α-formulas are constructed for the set of constant-preserving Boolean functions. Original Russian Text © L.N. 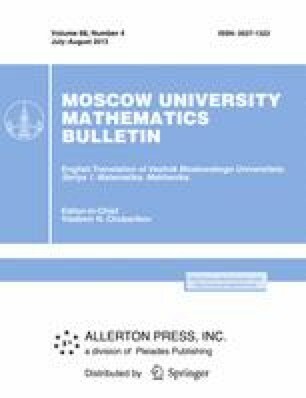 Sysoeva, 2013, published in Vestnik Moskovskogo Universiteta, Matematika. Mekhanika, 2013, Vol. 67, No. 4, pp. 51–55.